Lana's Life: Whew! 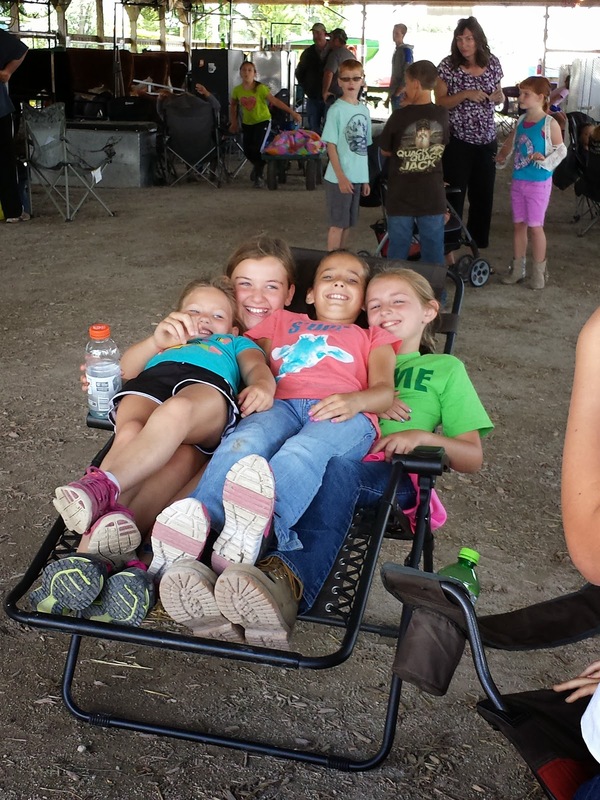 We Survived the Benton County 4-H Fair! I think I may have to finally stop throwing away my AARP card applications and acknowledge the fact that I am not 27 any more! Whew! So glad to have the fair behind me! 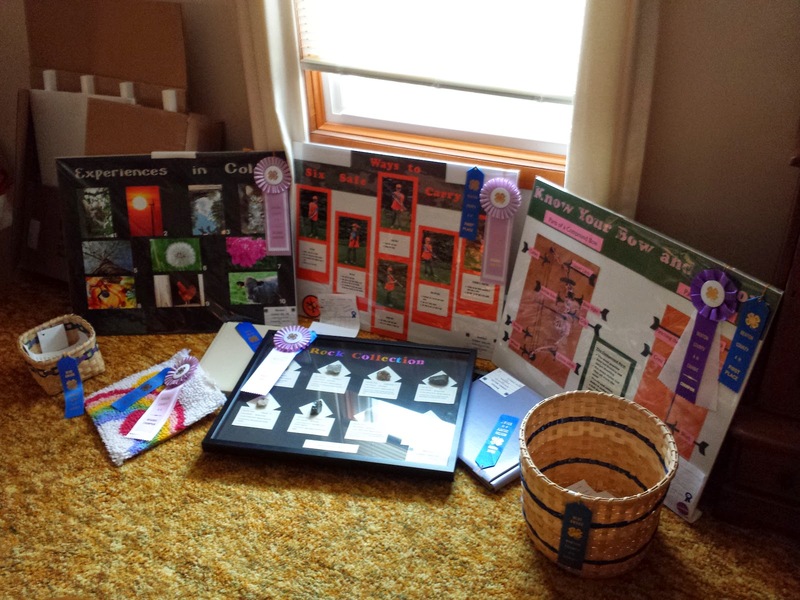 In all honesty, we had great weather for our fair, and the girls did a great job with all their projects, but I was very happy to see the Battle of the Barns, signifying that the fair was over. Tall Guy and I really enjoyed hanging out in the Beef Barn when we weren't wearing our Indiana Farm Bureau shirts and making popcorn plus ice cream. Our fair is a county fair in its true meaning. There aren't big flashy rides, but you get to sit down with an old classmate or friend and catch up on all the news. Our girls roam at will; there is no worry about where they are or who they are with. It's like the bar at Cheers; everyone knows your name. 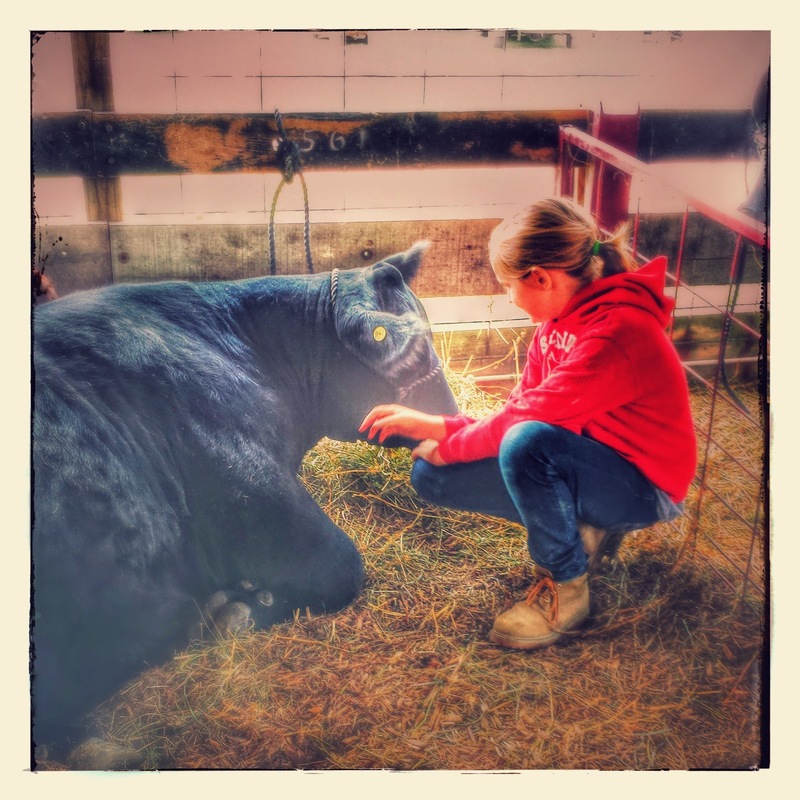 Don't look for any pictures of the girls actually showing their cows; I have to get them from someone else. I found that I was way too nervous to focus the camera on them while they were out there! The last activity of our fair is the Livestock Auction. This year we did a neat thing for a great 4-H family in our community. The mother of three 10 year members and two more who will finish in the next three years has terminal cancer. 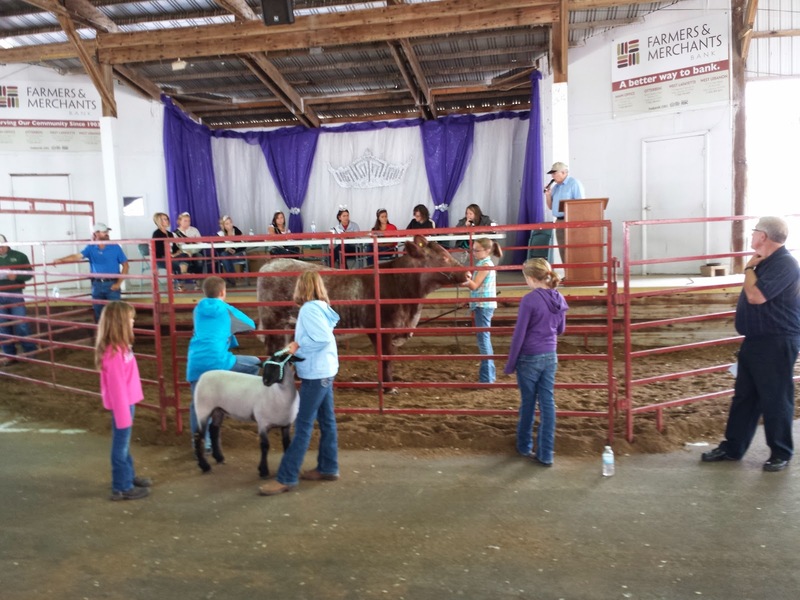 Our 4-H members put up a steer and a lamb for auction. All of the proceeds from the steer (bids) and the entire amount for the lamb( lamb + bids) were given to this family to help with medical expenses. So far, our little county of 8500 has raised over $9000.00 for this family! 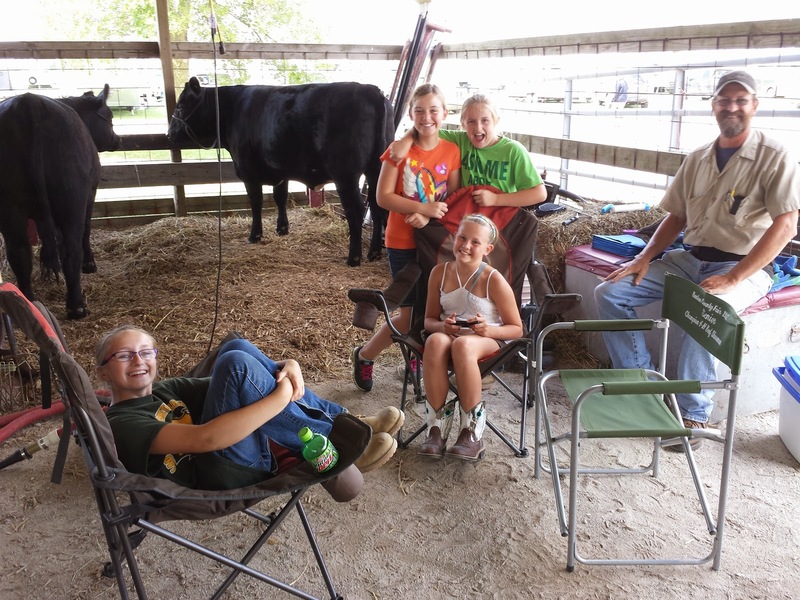 LOVE our 4-H and rural community! It was an opportunity for everyone in the community to show their love and support for this family. It still brings tears to my eyes. And so now, our fair is over. The heifers went back to their owner to start breeding calves, and one steer came back to grow and fatten up a bit more. The other steer, well he went on to fulfill his destiny as a feeder steer. Tall Guy tucked all the show tools, tack, and "stuff" up in the loft to get out of our way when harvest starts. 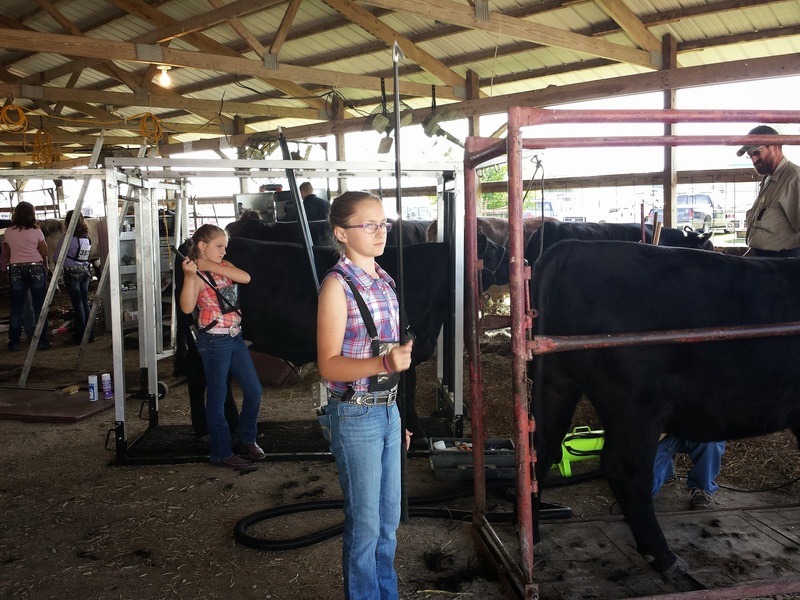 The girls will file their work and ribbons and get ready to hit the books when school starts. 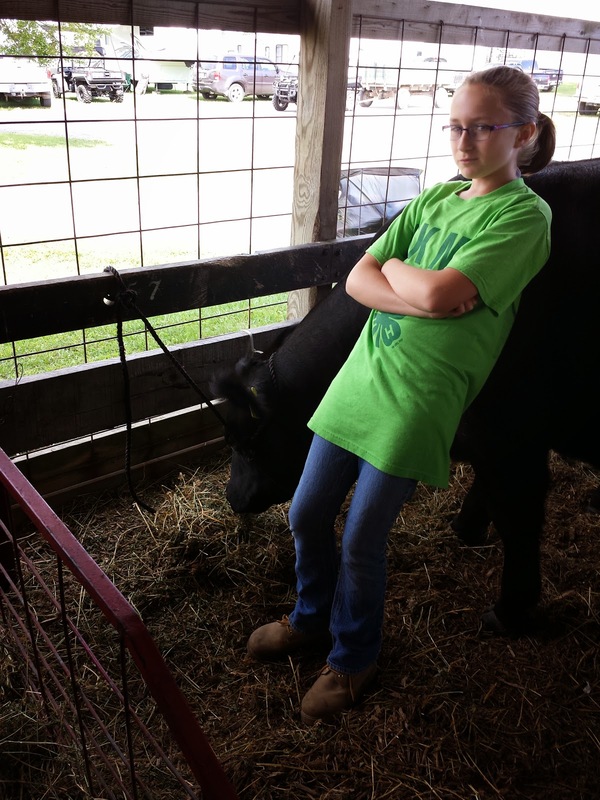 It has been a great 4-H experience. In some places we excelled, and in others we need to grow and learn. That's what it is all about! Glad you survived. I feel like that sometimes with my two teenagers and their activities. 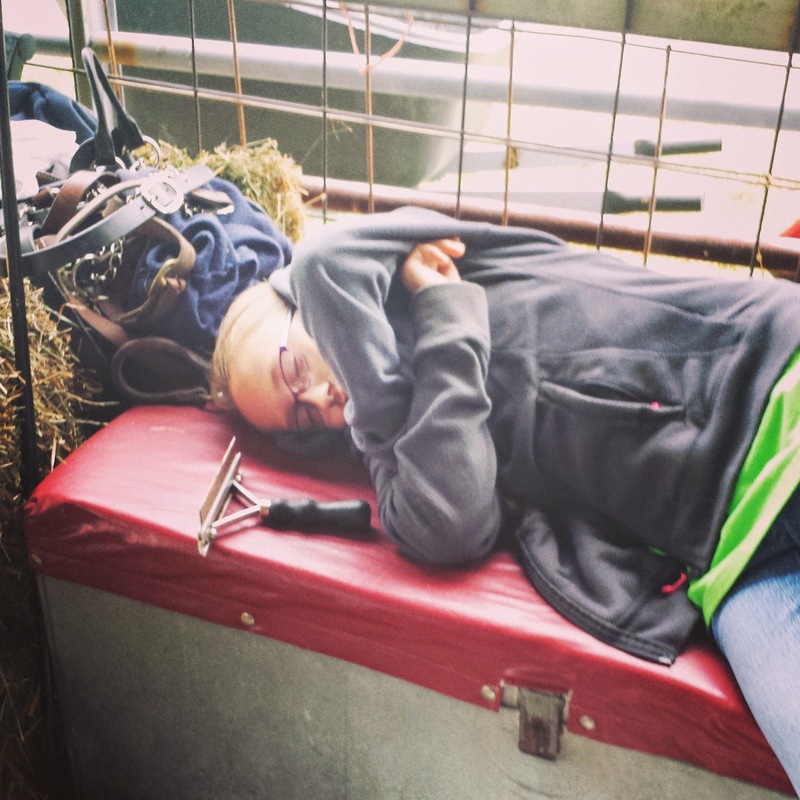 Their schedules wear me out! Raising the money for that family was a wonderful thing to do. I am lucky to live in a community where that type of thing still happens. Too cool! Looks like the girls did a wonderful job! Kudos to you and Dad!! They'll look back on this forever! Glad you made it! Congrats girls on your accomplishments! Three cheers to making it through the fair! And congrats to your kids on all those A ratings! 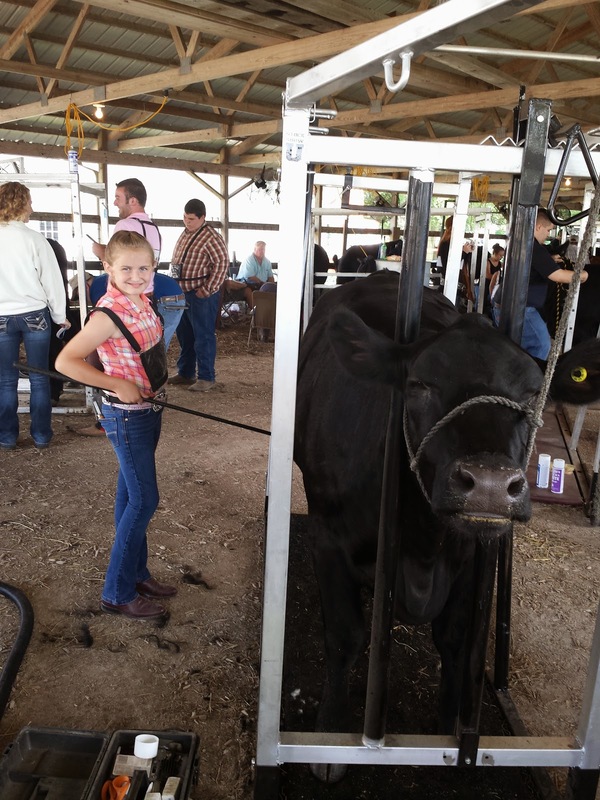 Looking back, I appreciate what my parents did even more for my sister and I during our 4-H years! For us, The Fair was our vacation. We slept in our camper at the fairgrounds, got up in the wee hours of the mornings to get critters ready for show day, stayed up way too late with friends, logged countless miles walking around... and you're totally right about the Cheers reference! I couldn't (and won't want to) hide the fact that I was "Larry's daughter"!